Cash DeCuir is a freelance narrative designer and writer, who formerly worked for Failbetter Games. 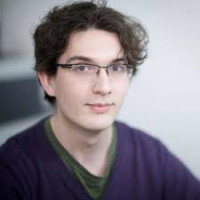 In his two and a half years with the company, he worked on Sunless Sea: Zubmariner and Sunless Skies and acted as lead writer on Fallen London. He is also the lead writer and designer on Stave Studio's upcoming narrative adventure game, Over the Alps, which recently made its first public appearance as part of the EGX Rezzed Leftfield Collection. Games offer something no other medium can: an immediate dialogue with its audience. To play a game is to make decisions about where to go, what to do, and how to do it. But how does one personalize those choices, so they become memorable, powerful experiences? Cash DeCuir offers a practical framework for examining stories and maximizing their impact in an interactive medium. A practical framework for breaking down narrative choices into four distinct components: Questions, or what the player is being asked to consider; Information, or the beats which informs the player's opinion; Opportunities, or the moments where the players may express their opinion; and Feedback, when the game recognizes the player's response. An understanding of how to intertwine the four components of narrative choices with mechanical and narrative design, creating new layers of immersion for players to delve into. An understanding of how to troubleshoot their narratives using this framework. A guideline for measuring the aptitude of narrative choices, before spending time developing them: are choices respectful of the player and their time?